The most active in Indonesia Merapi volcano, located on the island of Java, broke out on Thursday morning, throwing a column of ash in the sky to a height of 6 km. 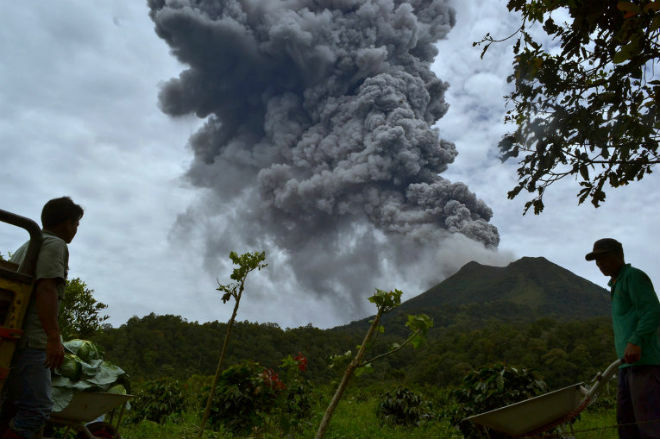 According to the head of the National Agency for Volcanology of Indonesia Kashbani, the eruption occurred at 02:55 local time (19:55 GMT) and was accompanied by the release of poisonous gases from the crater, such as H2S and CO2. “Volcanic gases are a danger in the areas around the crater, so we limit activities within a radius of 3 km,” he said. For residents of the areas surrounding the volcano, precautionary measures have been developed, including the use of protective masks. Volcanic ash can carry a considerable distance from the mountain. 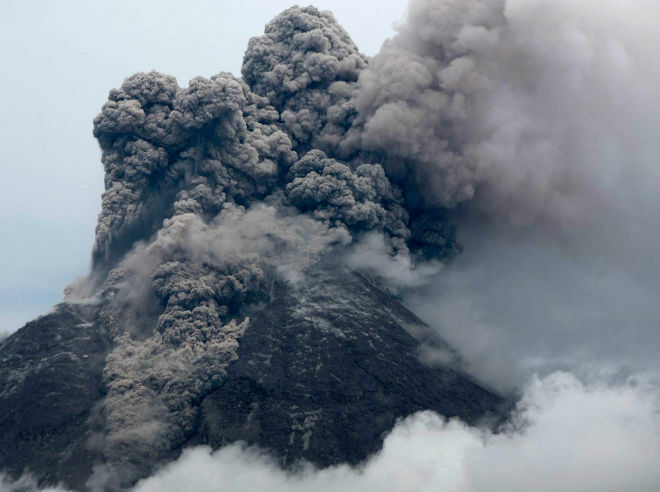 According to the National Agency for Combating Natural Disasters of Indonesia, in connection with the eruption of the volcano Merapi on Tuesday, 660 people were forced to leave their homes. The Merapi volcano is located on the border of the provinces of Central Java and Yogyakarta, about 28 km north of the city of Yogyakarta, with a population of 2.4 million people. The Merapi volcano, one of the 129 active volcanoes in Indonesia, periodically erupts, beginning in 1948. In November 1994, a pyroclastic flow from a big explosion killed 27 people. Another major eruption occurred in 2006.